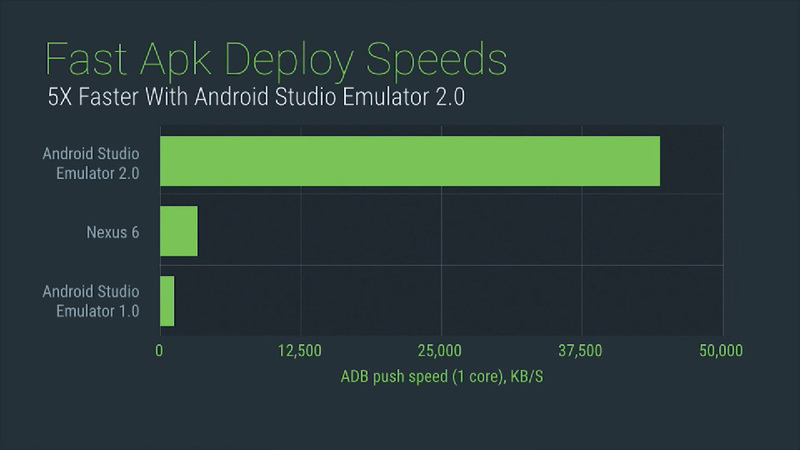 I believe that all Android developers would agree that the biggest thing announced in Android Dev Summit 2015 was Android Studio 2.0 and Android Emulator 2.0 which was advertised that it could run and deploy the application incredibly much faster than the first revision. 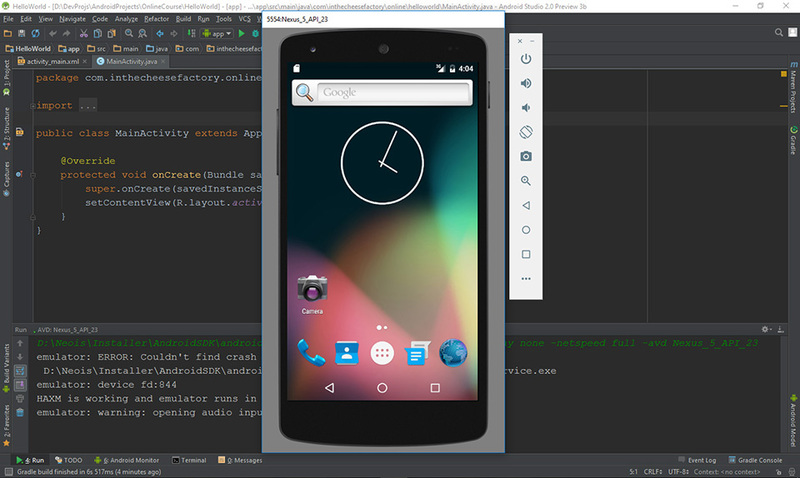 Few hours ago, Android development team just launched this latest emulator to the public. Let us give you a tour to this biggest update yet on Android Emulator you wouldn't wanna miss. 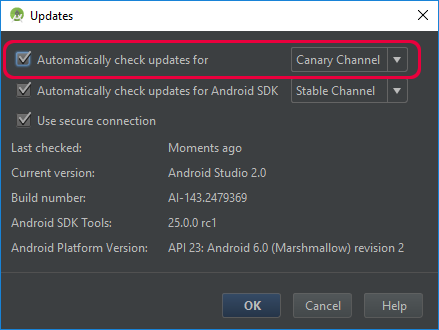 The first thing to be installed is Android Studio 2.0 Preview 3b which is now available on Canary Channel. To switch the update channel to Canary, just click at Help -> Check for Update... and change the top-most dropdown menu to Canary Channel. After that, check for the update again and Android Studio 2.0 will be installed on your machine. As mentioned in the name, what that SDK Manager downloads is just an installer. It doesn't install the HAXM for you yet. You need to manually install it yourself by browsing into Android SDK Folder and follow with extras/intel/Hardware_Accelerated_Execution_Manager. You will see an installer laying down inside. Just do what you have to do. 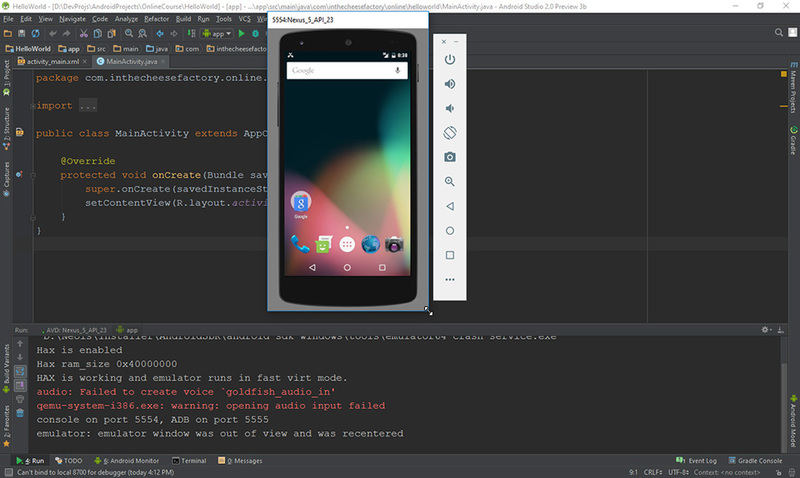 Woo hooooo, Android Emulator 2.0 ! The change is obvious. You could see the new toolbar on the right side of Emulator screen. After an hour of playing around, I found that Emulator started and operated much faster than the previous version. Anyway, I must say that I feel that it is still a little bit slower than Genymotion. But well, it is acceptable and very satisfiable. 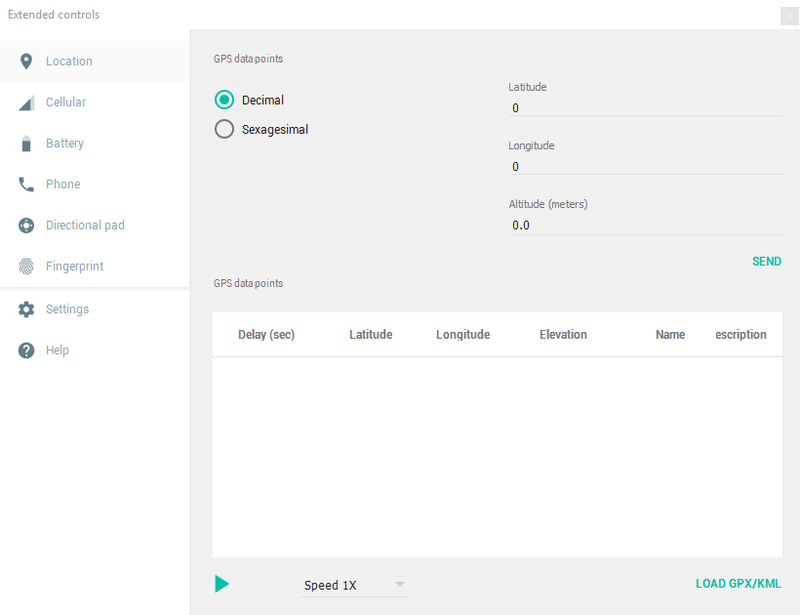 For those extra features just like GPS simulation, Fingerprint, Phone Calling, SMS Sending and etc which we have to do through the command line in the previous version is now available in GUI version. 100x easier I must say! These extended controls are one of the most impressive features for me in this new update since it is very convenient and totally complete. And well ... it's FREE. Now let's test the speed of apk deployment. I found that it could be transferred at the incredible speed, 50MB/s. It's 10x faster than the transfer speed to Samsung Galaxy Note 3 LTE which could make it at 5MB/s. At this speed, it could significantly increase the speed of development as well. In conclusion, Android Emulator 2.0 is really satisfiable. I would consider switching my primary emulator from Genymotion to Android Emulator 2.0 by now since the completeness on its feature and it is also FREE of charge! However, some weakness still persist. It consumes quite a lot of memory. Generally, I am so happy with this large update. Please give it a try and feel free to share your opinion over this new big thing!